Jessica Reif Ehrlich is senior media and entertainment analyst at BofA Merrill Lynch Global Research. She joined the firm in 1994 as Managing Director and her primary coverage includes the cable/satellite, filmed entertainment, broadcasting and cable programming industries. 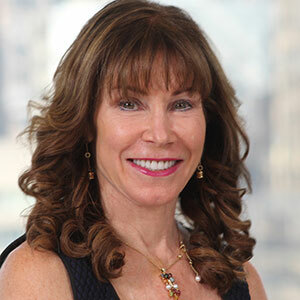 Previous affiliation includes Oppenheimer & Co. Inc. where she was a Managing Director. Reif Ehrlich is frequently quoted in trade and business media and is widely recognized as a leading media and entertainment analyst in Greenwich Research. She has been recognized in Institutional Investor polls for cable, entertainment and broadcasting for over fifteen years, and has been number one in at least one category fourteen times and is now in the Institutional Investor Hall of Fame. Reif Ehrlich is a member of The Paley Center for Media and is on the Executive Committee of the UJA Federation as well as Committee Co-Chair for Entertainment, Media & Communications Division which is made up of industry leaders throughout the media landscape. She majored in marketing and received her BS from New York University where she was awarded Beta Gamma Sigma. She also received her MBA from New York University majoring in finance and international business.